If you are looking for competitively priced and high quality fast turnaround digital slide scanning services, Vaskevich Studios provides high resolution in-house professional 35mm, 126, 127 and 110 film slide scanning and slide to CD, and DVD conversion services. Turn all your valuable photo memories into high quality digital photo files you can use anywhere. With state of the art equipment on-premises and professional film slides scanning experience, since 2003 we have been providing superb quality and true high resolution (up to 8000 dpi!) optical photo slide scanning service that preserves the details of each and every photographic image scanned. Each scanned 35mm, 126, 127 and 110 film slide can be cropped, rotated, color corrected and converted to any selected file format such as tiff, jpg, png or any other requested format. Need photo scanning services? Visit our photo scanning services page. 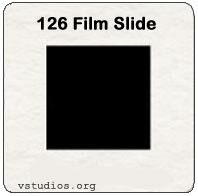 Interested in making a DVD video photo slideshow from your pictures? Check out DVD photo montage production service. We can also digitally restore film slides if required. Please see our photo repair and restoration services page. For on-site slide scanning services email or call our Orlando Orange County location at (407) 610-2451 for same-day service availability. All slide scanning is performed on premises! Your film slides never leave our Orlando / Orange county scanning facility. All work is handled by a professional photographer, therefore a special care is applied to all slides that are being scanned. 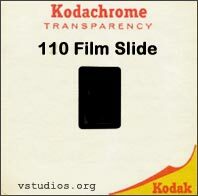 The film slides can be scanned to CD, DVD or provided via download. Slides to CD scanning service - when slides are scanned to a CD disc, this provides you with the highest quality digital files that can be later used for any purpose, including re-printing, DVD slideshows, online use, PowerPoint presentations, high quality image manipulation, etc. 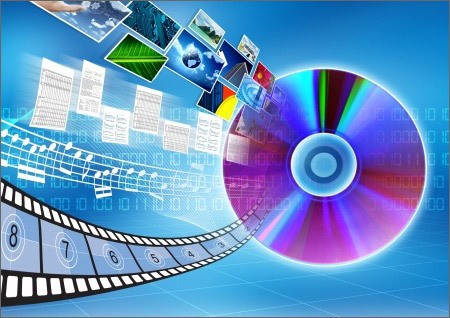 Slides to DVD scanning service - when slides are scanned to a DVD disc, they can be either scanned to a DVD as digital files or made into a DVD slideshow. Scanning the slides as DVD slideshow is the best use of DVD media. However, if you need to store files as high resolution images, we recommend scanning slides to CD (archival media) as digital files. Each single slide is individually digitally enhanced after the scanning process by a professional photographer. Strict quality assurance. We review all images after they were converted, processed and placed on a digital storage medium to insure digital data integrity. High volume batch / bulk slide scanning services are done directly on premises of our Orlando facility. Film slides are scanned at 2000 pixels per inch giving you 3000 x 2000, or 6 megapixel images. The scanning resolution is so high because photo slides are only 1.5 x 1 inches. Higher scanning resolutions (up to 8000 dpi) are available for commercial film stock slides. All high resolution jpeg images are compatible with all operating systems, image editing software, MS PowerPoint (PPT) presentations, online web publishing editors, CD and DVD slideshow compilation software, online image hosting, all digital portable devices, etc. High quality photo enlargements and printing services are available. Check that all slides are intact and the film holders are not broken or fall apart. Ensure that film service is clean without any water damage or adhesive residues. Prepare your slides by removing them from projector carousels and film holders and then organize them into 95-100 slides per batch. Make sure they are facing the same direction and are properly vertically oriented. Place slides in a dedicated box or use a few of rubber bands to hold each batch of slides together, then place them into a plastic sip lock bag. Call us first at (407) 610-2451 for same-day service availability. and then bring your order to us to 132 E. Colonial Drive, Suite 220, Orlando FL 32801. Alternatively you can ship your order to us. Please call us to place your order over the phone. Once we have your order at our facility, we will provide you with the earliest order pick up time available. No downpayment is required at the time of an order. Same day service is available. Once your film scanning ordercomplete, we will notify you either via email or by phone. The payment for the services is due at the order pick up time. We understand the value of your 35mm slides and take the appropriate measures to assure the quality of film handling and slide transfer service. 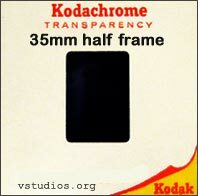 We promise to take care of your 35mm positives as if they were our own. Our scanning and transfer rates are based on total quantity and 1800dpi resolution, which is a recommended resolution for consumer slide scanning. Scanning consumer film slides at higher than 1800dpi does not produce better results. Please call us for a quote on your slide scanning needs. Higher resolution scanning is available for commercially produced 35mm slides. If you have professionally produced photo slides, we can preserve the original resolution by scanning at significantly higher resolution over 3600dpi. We offer same day service for all slide CD and DVD copy orders. All CD & DVD media is of archival quality. We advise to store digital image files on CD discs for the reason of disc longevity. However, if the number of images is very high, a DVD media could provide a more appropriate image storage solution. Discount for non-profit and government organizations is available on request. Price of each CD or DVD disc will be the same regadless of the amount of digital slide data placed on each disc. 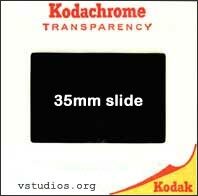 Note, if the film slides are damaged, they must be first repaired in order to be scanned. If the damages are minor, you can you a little glue to hold the slide frame together. 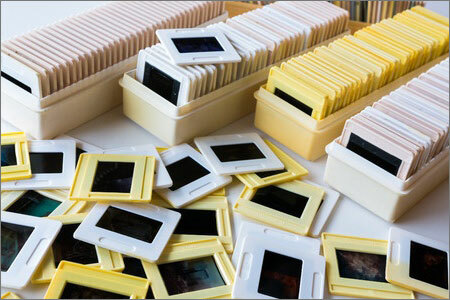 All positive film slides are scanned with dedicated high resolution film and batch film scanners to accommodate various order requirements and sizes. These scanners differ from universal flatbed scanners that use transparency holders to scan film. The dedicated scanners we use provide a higher image exposure latitude, higher resolution and more precise scanning overall. 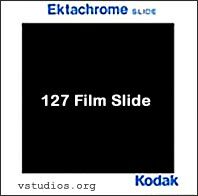 Although film slides differ in the actual film viewable size, we can scan most of the slides and offer 100% coverage of the viewable film size. Considering the resolution to scan slides to CD, DVD, PowerPoint presentations and digital files. Scanning film slides to an optical disc as digital files provides an effective way to save fading film images. However, the scanning services generally give an option to select from different scan resolutions. And while one may think that a higher scanning resolution may provide better results, it’s not always the case. When scanning slides to a digital file format, it is important to consider the origin of the film stock. If the film was a consumer grade type and shot on a consumer grade camera, then scanning the slides at 2000dpi would produce optimal results, as the consumer grade film and lens resolution provides about 1500dpi at best. Therefore scanning film slides at resolutions higher than 2000dpi, will cost more and produce unnecessary large files without a real benefit. When film slides are produced by commercial photographers, they may have a significantly higher effective resolution and gamma definition and will benefit from scanning resolutions above 2000dpi. We recommend scanning commercially produced film slides at resolution of 3600dpi or above. Besides providing our customers with scanned slide images on a CD, we also produce digital CD or DVD slideshows for business use, personal events and parties. Note that there are additional costs associated with producing a CD or DVD slideshow. Please call us to get a quite quote! Slideshows are set to show each image from 5-15 seconds but can be customized to your requirements. Music tracks can be added to CD & DVD slideshows and edited for the slideshow playback duration. Please see photo DVD Slideshow Service page for more information. 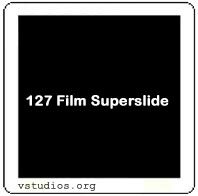 We provide all of our services on-site, meaning your film slides are never shipped anywhere to be processed. Therefore we are able to provide fast turnaround and personal service on all orders. You are welcome to drop off your order at our studio and pick it up when the order is complete. Please give us a quick call before you bring your slides to our studio. We generally notify our customers via email when an order has been completed if the order completion date was not established at the time of a slide scanning order. For slide scanning services email or call our Orlando Orange County location at (407) 610-2451 for same-day service availability.